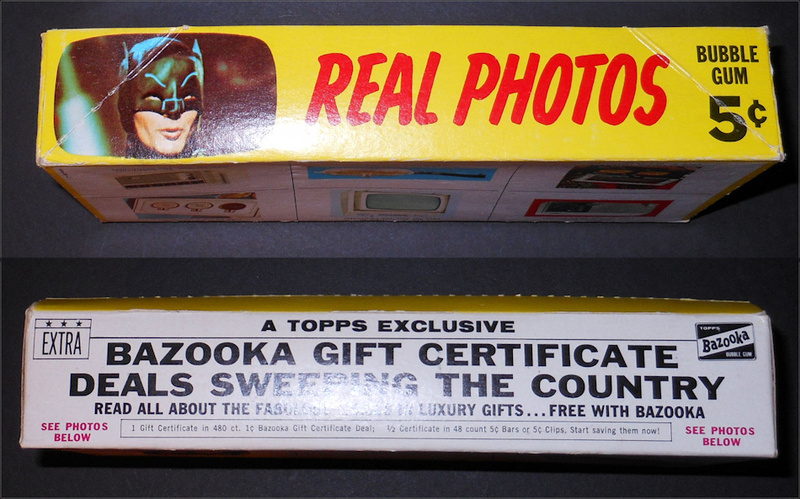 Also known as “Bat Laffs”, this rather striking point-of-purchase display is clearly one of the toughest Batman gum card boxes to acquire. 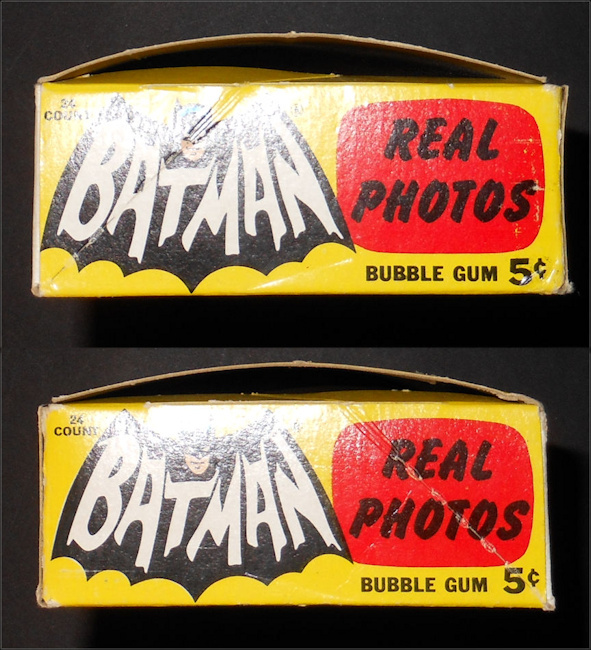 Empty now, at one time this box would have held 24 sealed packs, containing the last Batman gum card series produced by Topps in the 60’s. It marked the end of a gum card era. The box presents as crisp and clean – not quite case fresh, but close enough to call NM. The lid perforations are popped, but the hinges, while flexed, remain in good condition -no tearing; the same for the lid. Despite some notable chafe along the lip fold, no tearing is evident upon examining the box interior. In fact no restoration can be detected whatsoever! The bottom of the box is slightly dimpled at center, a fault so minor that the picture fails to capture it. Other faults are the occasional corner imperfections you typically find and some very faint creases not associated with the previously mentioned hinges. Some additional chafe also occurs along the bottom edge of the box.